By default, Windows 10 does not allow pinning folders to the taskbar. This limitation can be quickly bypassed without 3rd party apps. In Windows 10, it is easy to pin your apps and programs to the taskbar. However, it is not easy to pin folders and add shortcuts on the taskbar, for the folders you use most often. 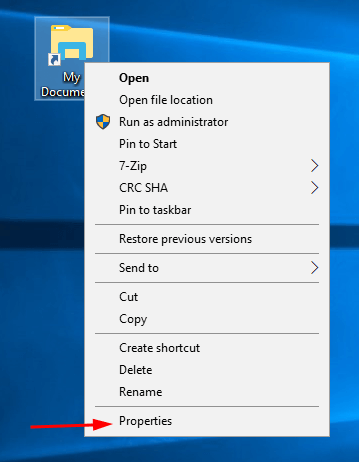 The idea behind the trick to pin folders to the taskbar is simple - since you can already pin executable files to the taskbar, you can make a shortcut to the folder you want to pin and replace its target path with the explorer.exe file. 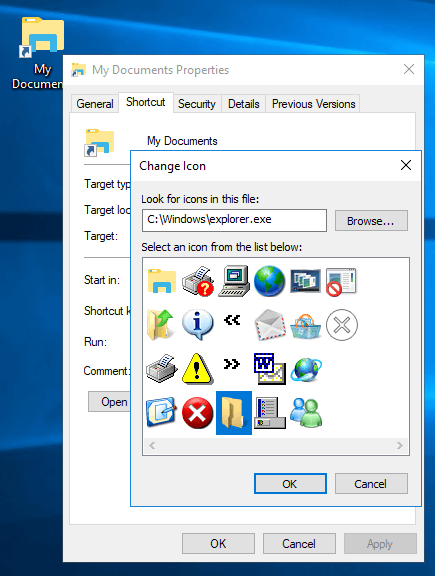 Add the folder path as an argument for the explorer.exe app, so the folder will be opened when click on the shortcut. Step 1. Right click the empty space on your Desktop. 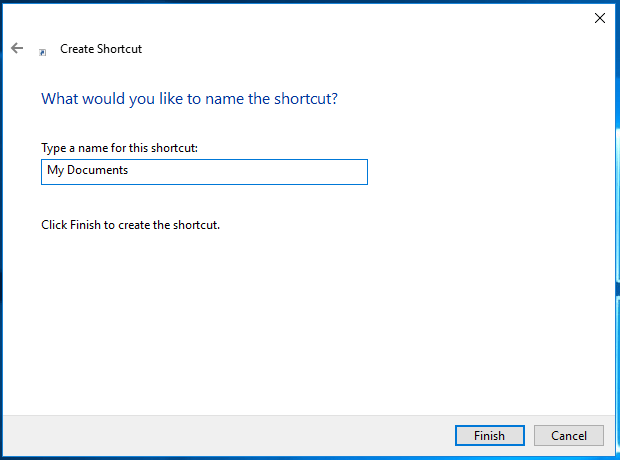 Select New - Shortcut in the context menu. Step 2. In target box, type 'explorer.exe' and add the path to the desired folder you want to pin to the taskbar. For example, explorer.exe c:\my documents. Step 3. On the next step, enter the desired name for your shortcut. Step 4. Right-click on the shortcut you created and open its properties. Step 5. Change the shortcut icon to any icon you like. The default Windows icons can be found in the file C:\windows\system32\imageres.dll. The explorer.exe file also contains a few beautiful icons. Step 6. 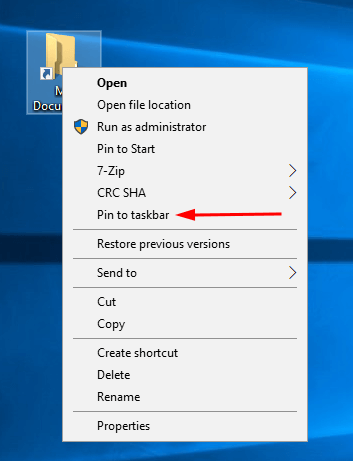 Right-click on the shortcut you created and select 'Pin to taskbar' in the menu. Your folder is now pinned to the taskbar. 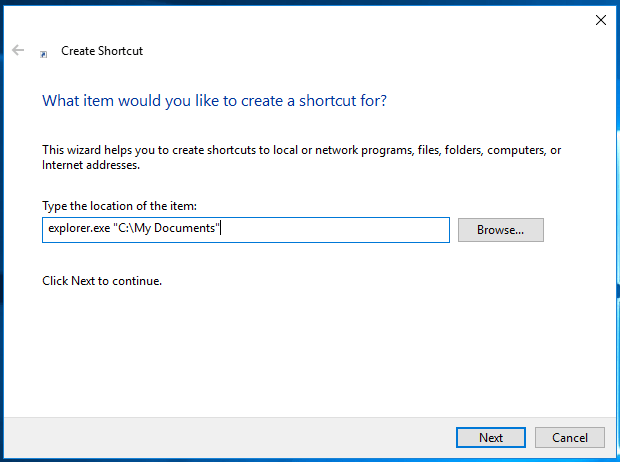 You can delete the shortcut you created from the Desktop (it is not required any more). Using this method, you can pin any folder you want to the taskbar. Also, this way you can pin a drive (C:, D:, etc). 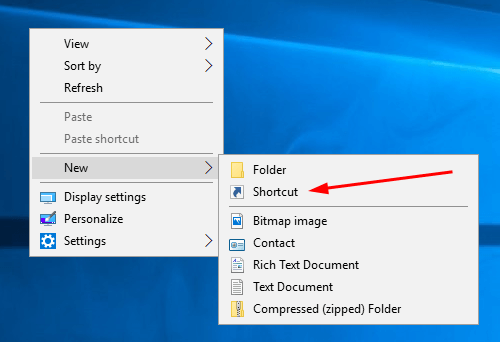 In Windows 10, you can pin any folder to the taskbar. This will allow you to open that folder with one click. You need to simply follow these steps written below.